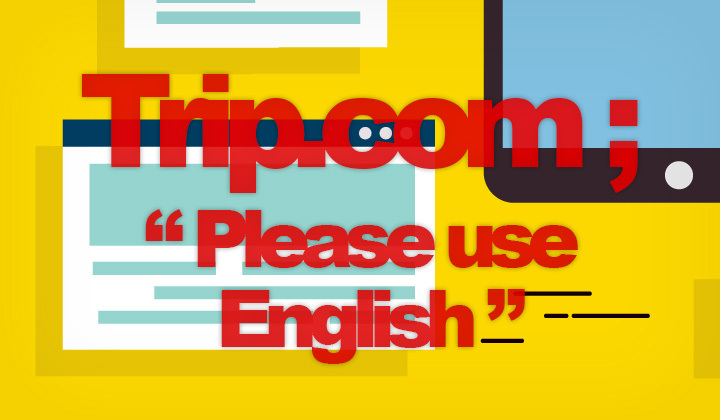 When filling out the optional, special requests field on the booking/payment form on Trip.com, you might see an unexpected message “Please use English” which prevents you from completing the hotel booking. Here’s the solution! Also, see Trip.com FAQ on hotel reservations and special requests. Obviously, despite the warning the message is in plain English language. You simply need to remove all special characters from your message. Such as commas, and even question and exclamation marks, etc. Only full stops and the roman alphabet & numbers are accepted. After the warning message is gone, the “Book” button is re-activated & working. Simply as that. Have a good say at your hotel! Still not working, any problems? Comments welcome below. Thanks for reading and stopping by. David.